The idea of testimonials or endorsements has been around for nearly forever. Long before celebrity endorsements became popular on TV, they were used in radio and in print before that. The basic premise is to make someone more likely to buy your product because they see that someone they like, respect, or just happen to live by, also uses your product. It’s why door to door salesmen carry a clipboard of all your neighbors they’ve talked to. If the Jones’ bought the product, well then it’s good enough for me, right? In more modern times, the concept is called social proof, and has been extended to social media. The more likes and followers you have, the more “legitimate” you seem. If your followers are people I recognize, well then all the more likely to make me want to do business with you. This is still a legitimate use of social media and we’ve seen it work to good effect. The next generation of social proof is online reviews. Everyone has gotten used to seeing online reviews. Many people won’t even consider buying a consumer product without checking out it’s reviews on Amazon, or won’t try a new restaurant without seeing what people are saying about it on Yelp. Having customer testimonials on your website is always a good idea, but having honest reviews of your business on a disinterested third party site holds even more power. After all, how do I know those people on your website are real? The reviews on third party sites like Google, Yelp or Facebook are tied to an individual user id, a real person. We offer a review generation service. Send us your customer list and we’ll request reviews from your clients. If they feel inclined to give a positive review they will be sent to Google or Facebook to leave their comments publicly. If they’re not inclined to leave a positive review, they’re directed to a private portal where only the business owner can see the review and can respond privately. We feel this is a stronger model than only soliciting reviews from people who’ve had a positive experience. 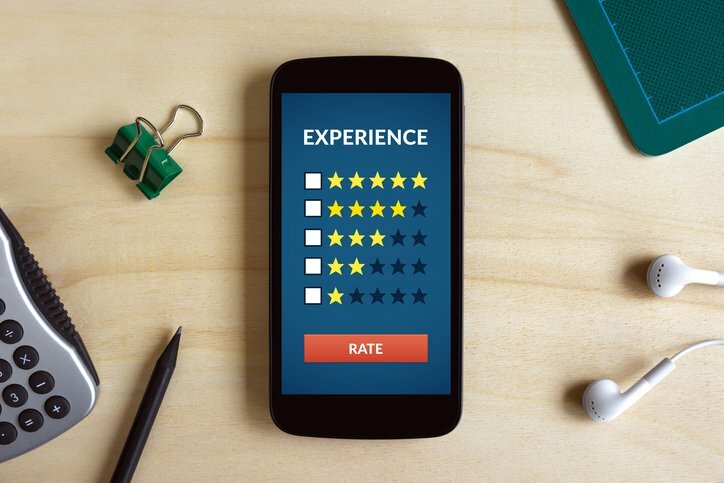 A bad review can tell a business owner a lot about how their employees are delivering on customer service expectations. Coming soon, our review generation service will also allow clients to leave a review using text messages. Over 50% of web traffic is now on mobile devices and text is an integral function of smart phones. Contact us today for pricing and to learn more.